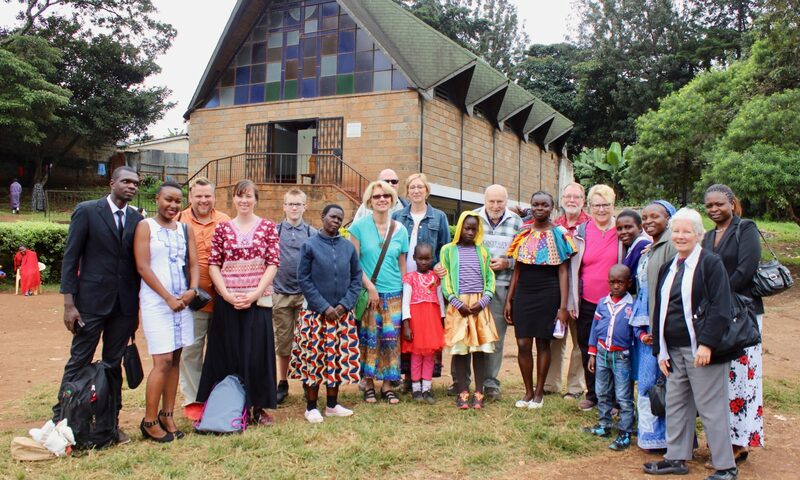 In June, nine members of St. Mark’s Lutheran Church in Auburn, Indiana went on a mission trip to Nairobi, Kenya. We went to partner with our church missionary, Kathleen Lutz, who has served in Kenya for the last nine years. Up to this point, no St. Mark’s group or family members had visited her and seen firsthand the work she is doing in Africa. Our trip was planned to include serving meals and leading children’s programming at several schools in the slum areas of Nairobi, completing some painting at the schools, assisting with a Bible study with HIV+ women in a village outside of Nairobi and visiting several homes in the slums to lead devotionals, prayer and give gifts of food. We knew what we were going to be doing, but our experience exceeded our plans. 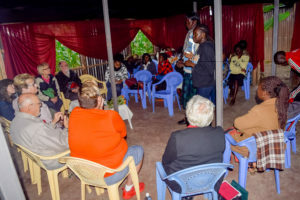 We connected with the staff of Heart to Heart Ministries in Nairobi, led by Deaconess Mary Eliaika Oruko – we became instant friends and by the end of the week were joking like old friends. On one of our work days, a small group of us walked several miles through the congested, noisy streets of the Kibara slum, following our guide down a dirt alley (which also serves as the drainage ditch for the area). We weaved around the makeshift metal homes with their clotheslines strung out their doors, clothes blowing lightly in the breeze. Soon we ducked into a narrow, dark, open air hallway and walked past several doorways with fabric hung for front doors. At the end of the hall, we reached Regina’s home and entered. The first room was small and contained cooking and houseware items. It was very dark with pinpricks of light coming through small holes in the metal roof and gaps in the walls of the house at the corners. The second and last room was even lower than the first and contained a low couch, a long table, some shelves and a bed that was concealed from view by a white sheet hanging from the ceiling. It was dark in this room as well. Our guide found Regina in the bed and awoke her, while we set the food we brought with us on the table. Regina sat up and we lined the room, half of us sitting on the couch and half of us sitting on the bed, as she told us her story. Tears rolled down her cheeks as she shared in Swahili through our translator about her seven children who had all died and how now she is sick from the conditions of sleeping on the cold and wet floor. Her husband, who was Muslim, passed away some time ago. While she practiced Islam during his life, she does not now. She cares for her six grandchildren, does not have a job due to her caretaking duties (though, last year she had her own business that she had to give up to care for her last dying child), has no food in the house and lost her electricity because she could pay the $4 monthly bill. She is three months behind in rent (which is $39 a month) and her landlord comes by frequently demanding payment and losing patience. She explained that when it rains the water runs down the alley, through the building’s hallway and into the bedroom/living room of her home. It floods badly several times a year and yet she has lived in this home for twenty years. While she is 53 years old, she looks like and carries herself as if she is much, much older. Life has worn her down bit by bit. It was while she shared that I realized I had a waterproof jacket in my bag. At that moment, it felt like the least I could do to offer it to her. Maybe it would keep the rain from falling on her as she slept on the floor. Maybe one of her children could use it when walking the several miles to school. Her life is filled with burdens and stress that I will likely never personally experience. When she was done sharing her story with us, one of our team members began to share about the difficulties in life, how we are never alone, and how God is always near to us. As our team member spoke from her heart, tears streamed down Regina’s cheeks. She finished with a simple prayer, we took a few pictures, thanked her for allowing us to come to her home and walked out the narrow doorway. Regina followed us out and when we reached the sunny courtyard, she spoke to us through the translator. She said, “Please come again and bring the Word of God to me.” We smiled through our own tears, hugged her and left. A piece of my heart is still with her, and I wonder if she will survive the hard life she has. I wonder what will happen to her six grandchildren. These are the mission trip moments that change us forever. 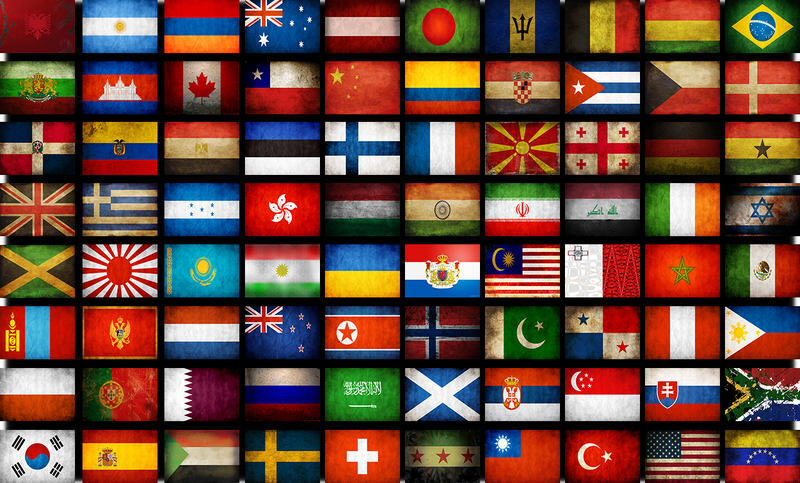 We organize mission trips, thinking that we go to help disadvantaged people who have nothing. Instead, they help us remember what is most important and that our relationship with God must be central to everything we do. We must use our lives to share his love with everyone we meet. It is humbling to watch people, whose only clothes are likely the ones they are wearing, eat the one meal they will eat for the day and know they fight to survive each day and do it with such grace and joy. For some of us, it was our first experience with true poverty. All of us were reminded just how much abundance we have in the U.S. and realized exactly what hunger, suffering and deprivation look like on a human face. All of us were humbled by the graciousness, love and acceptance we experienced from the Kenyans we met, especially the children. 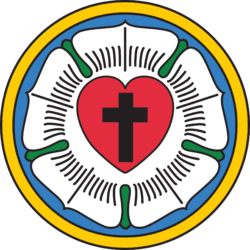 We will never forget it and will use our shared experience to continue to love and reach our community for Jesus.